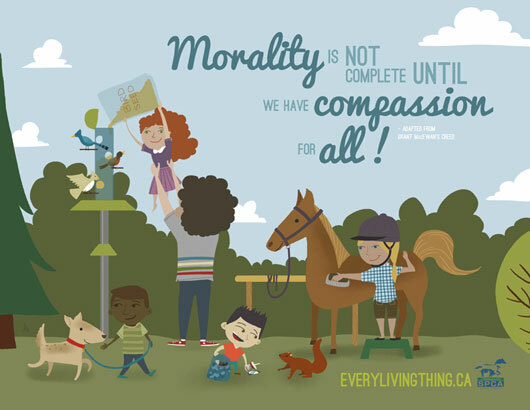 The Alberta SPCA, annually puts out materials for teachers, to help in the education of children about compassion towards animals. I was asked to work on one of those products, it is a poster that can be displayed up in classrooms. I was quite keen to work on the project, one for the SPCA and also another project for kids to see. I love this SPCA poster! Thanks Margaret! It was fun to work on. © 2019 Jason Blower Illustration.